Forensic science combines science and investigation in order to aid and support the prosecution or defense in criminal and civil investigations. While the profession has been widely romanticized by various TV shows, make no mistake – this job is most likely different that you expect. In contrast with popular perception, this is a highly scientific role, which often involves detailed, painstaking work. Field duties are limited to a few areas of expertise, and most often than not a forensic scientist will spend his time in the lab. If you made it this far, though, congratulations! You’re taking the first steps in joining a very rewarding profession and itsGOV is here to guide you through what you need to know and what you need to do to join a forensic science program in Pennsylvania. Depending on the type of forensic science practiced, different degrees and educational backgrounds may help a candidate get a job and excel in this field. Regarding formal education, requirements vary across jobs, but you should definitely have a solid background in mathematics, biology and chemistry. The National Institute of Justice, a division of the U.S. Department of Justice, offers guidelines for model undergraduate and graduate forensic science degree programs. According to the American Academy of Forensic Science, strong programs should offer a curriculum that concentrates on scientific writing, laboratory skills, public speaking, and computer software application training. Forensic science is organized into a number of disciplines, all of which require specific expertise in one or more areas of the natural sciences. As scientific study becomes more sophisticated and developed, the role of the forensic scientist continues to take on a more significant role in crime scene investigation. And because of the complexity of forensic science and the many areas of study within this field, the need to establish and maintain professional standards has never been greater. The American Board of Criminalistics (ABC), which was formed to represent the forensic scientist, now offers certification, proficiency testing, and serves as a voice for current issues and topics. The ABC was the first certification body accredited by the Forensic Specialty Accreditation Board. Individuals may achieve professional certification in comprehensive criminalistics, as well as in specialty areas and disciplines, including: molecular biology, drug chemistry, fire debris analysi and trace evidence. – Fellow: To achieve fellow status, individuals must meet all the requirements for a diplomate and successfully complete the Comprehensive Criminalistics Examination. – Affiliate: The affiliate status is not a certified status; instead, individuals are certification eligible upon filing for an ABC Request for Promotion from Affiliate to diplomate and having it approved by the Credentials Committee. Forensic science jobs are most often focused on the forensic laboratory, whereas the professionals at the scene of the crime generally fall under the field of crime scene investigation (CSI). Forensic scientists are professionals who gain valuable information regarding crime scene investigations through scientific analysis and observation. The salaries for specific forensic scientist positions vary in this state, as well in most of the institutions in the American system. The average position in Philadelphia paid $39,520 a year, as a starting salary. Forensic scientist trainees for the Commonwealth of Pennsylvania made a starting wage of $50,533 to $63,009 in 2013. 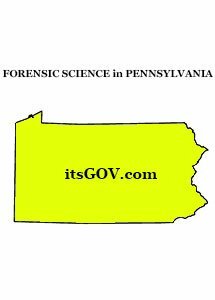 According to Pennsylvania’s Department of Labor & Industry, six jobs for forensic science technicians were advertised in the state on October 7, 2013. Four were in Montgomery County, while two were in Philadelphia County. A number of forensic science technicians work as crime scene investigators (CSIs). As part of their job, they perform their work in the field—documenting the crime scene and collecting evidence to be analyzed further in the lab. While some CSIs are civilians, others are enlisted personnel. In addition, depending on the size of the department, some CSIs are crime scene analysts—processing the whole site—while others have specific functions such as: latent fingerprint analysis, blood pattern analysis or analyzing impressions from tires or shoes. As with most forensic science positions, the salaries of CSIs can vary widely. The professional’s level of education and experience has a significant contribution to determining their pay range. The average Pennsylvania crime scene investigator salary from the year preceding October 2013 as being $53,000. University Anna Maria College, Paxton, Pennsylvania, Criminal Justice B.S. The Criminal Justice major provides students with an interdisciplinary perspective that balances both theoretical knowledge and practical application. The major prepares students for the criminal justice/human service professions and provides a solid foundation for graduate and continuing studies. Faculty grounded in the balance of theory and practice deliver a curriculum intended to develop a sense of global awareness and a commitment to social justice and responsibility while promoting respect for the dignity of all persons involved in the criminal justice system. Other useful information: Students take nine core criminal justice and cognate courses in the first and second years. In the third and fourth years, students, in consultation with their academic advisor, develop a plan of study which furthers the student’s intellectual interests and professional goals through the choice of six elective courses. A minimum of four upper division electives must be taken in criminal justice. The remaining two may be from criminal justice or related fields such as sociology, anthropology, psychology, social work, legal studies, public policy, and political science. The Capstone Seminar in the Senior year allows for application of knowledge to the professional setting. University University of Pittsburgh at Bradford, Pennsylvania, Criminal Justice B.S. The program is designed to give you a broadly based understanding of the diverse nature of crime and justice and its relationship with society, with an emphasis on the components of policing, courts and corrections. The program will provide you with more than 30 specialized criminal justices courses to select from, including Terrorism in a Post 9/11 World; Substance Abuse and Treatment; Islam and Social Justice; Drugs, Crime and Social Policy; Law Enforcement Operations; and Organized Crime in America. Other useful information: Students must take six additional courses (18 credits), including at least two from each of the three areas of study in criminal justice. At least three of the courses must be at the 1300/1400 level. Members of a university community, both faculty and students, bear a serious responsibility to uphold personal and professional integrity and to maintain complete honesty in all academic work. Violations of the code of academic integrity are not tolerated. Students who cheat or plagiarize or who otherwise take improper advantage of the work of others, face harsh penalties, including permanent dismissal. The academic integrity guidelines set forth student and faculty obligations, and the means of enforcing regulations and addressing grievances. University Kutztown University of Pennsylvania, Criminal Justice B.S. Although the Kutztown Criminal Justice Program dates back into the 1960s, the curriculum has been modified over the years in response to the changing needs of students and employers. Degree requirements include: 60 semester hours of General Education (taken by all students), 24 semester hour core of criminal justice courses and 36 semester hours of Criminal Justice electives. Other useful information: A student wishing to participate in the field work placement must have completed at least sixty college credit hours. In addition, the student must have completed at least eighteen credits in the criminal justice curriculum. Students who wish to obtain a field work placement must enroll in CRJ 390 and pay for six credits. Field work students must serve five weeks (a total of 200 hours) of work at their placement. The normal workload is eight hours; however, not all placements are designed around a standard eight-hour day. Some placements may require “off hours” and weekend work. If there are problems or questions regarding hours, they can be discussed and revised with your faculty internship supervisor. Kutztown students have received field work placements with a wide range of local, state and federal agencies. Law enforcement placements have included the state police, private detectives and sheriff’s departments, as well as the Federal Bureau of Investigation and U. S. Marshals. Students interested in pursuing careers in the courts have worked with prosecutors, defense attorneys and court administrators. Many students are placed in adult and juvenile probation agencies or in adult prisons and juvenile reformatories. One student was placed in Rwanda with the war crimes court. University Point Park University, Pittsburg, Pennsylvania, Forensic Psychology B.A. Other useful information: At Point Park, Pittsburgh’s only Downtown university, the students will engage in a more active, more real, more professional education. Whether they’re looking to pursue a degree in one of our 82 undergraduate programs, 17 master’s programs or new doctoral program, they’ll have professors who teach from their own real-world experience. They’ll have access to successful, working professionals within your field. You’ll have internship and job opportunities with leading companies and organizations. And they’ll have the limitless cultural and entertainment opportunities that only a world-class city can offer. The Downtown Pittsburgh neighborhood offers pristine parks, riverfront trails and hundreds of shops and restaurants. It’s home to Fortune 500 companies, government agencies and nonprofit organizations. It’s a place where more than 140,000 people come to work each day and where more than 7,000 people (including 1,000 Point Park students) live. It’s a dynamic city center that makes a dynamic college experience possible. University Seton Hill University, Greensburg, Pennsylvania, Forensic Science B.S. Seton Hill’s Forensic Science Program combines rigorous study in biology, chemistry, math, physics and criminal justice with hands-on crime scene analysis and field experience. As a result, our graduates are uniquely suited to begin a career right after graduation, or to go on to graduate school in forensic science, law, or allied health and medicine. Other useful information: Seton Hill graduates who choose a career in forensic science will benefit from a strong current and projected need for qualified forensic scientists in crime laboratories (federal, state and local), state police laboratories, coroner’s offices and private forensic laboratories. At Seton Hill, the staff have a full-sized ranch-style house on campus that is dedicated to the creation of “crime” – and its solution. 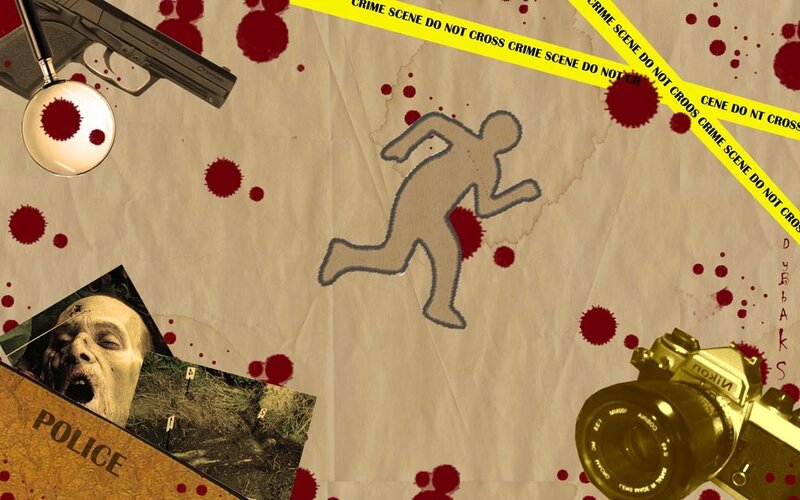 As a forensic science students, you will regularly use the knowledge you are gaining in the classroom and the laboratory to examine and analyze mock crime scenes constructed by your professors, and you will also have the chance to set up mock crime scenes of your own. Seton Hill’s forensic science courses are designed and taught by award-winning faculty with academic and professional experience in the justice system. They are experts in their fields, and they have dedicated their careers to preparing you for yours. Studying forensic science at Cedar Crest will prepare the students for a wide variety of career paths, such as crime scene investigation, drug chemistry, forensic DNA analysis, toxicology and trace evidence examination. Recent Cedar Crest graduates have found employment in both public and private sector laboratories, including the the New York City Police Department, Pennsylvania State Police, New Jersey State Police, and the United States Army Criminal Investigation Laboratory.Other graduates have pursued careers in industries such as pharmaceuticals, cosmetics, and medical research. Other useful information: The forensic science program has earned the highest accreditation possible for undergraduate and graduate studies: Both programs are fully accredited by the Forensic Science Education Programs Accreditation Commission (FEPAC) of the American Academy of Forensic Sciences. The graduate program is one of the oldest accredited forensic science programs in the nation. The faculty members have more than 50 years of professional forensic science experience, and they routinely publish in peer-reviewed publications and present original research at forensic science conferences. Also, our program director, Lawrence Quarino, Ph.D., is a former chair of FEPAC. The educational programs will take the students from the crime scene to the courtroom. Here, the students will receive instruction in subjects as diverse as DNA analysis, toxicology, trace evidence examination, and how to testify as an expert witness. This generalist approach will prepare you to compete for a wide array of careers. Students present at major forensic science conferences, serve in a leadership capacity in the Forensic Science Student Organization (FSSO), and host the College’s annual forensic science symposium, which takes place every spring. 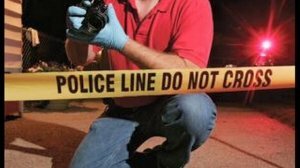 The master’s program in Forensic Science is an exciting and innovative curriculum that offers students advanced, hands-on training in crime scene investigation techniques and crime laboratory methodologies. State-of-the-art crime scene training facilities and crime laboratories are used to train students in the practices of modern forensics. Students will conduct research relevant to the field of forensic science working under the guidance of the program’s faculty. Other useful information: The Professional Science Master’s (PSM) is an innovative, new graduate degree designed to allow students to pursue advanced training in science or mathematics, while simultaneously developing workplace skills highly valued by employers. PSM programs consist of two years of academic training in an emerging or interdisciplinary area, along with a professional component that may include internships and “cross-training” in workplace skills, such as business, communications, and regulatory affairs. All have been developed in concert with employers and are designed to dovetail into present and future professional career opportunities. University Drexel University of Pennsylvania, School of Biomedical Sciences and Professional Studies, Department of Forensic Science, Forensic Science M.S. The School of Biomedical Sciences and Professional Studies offers the Master of Science in Forensic Science. The MS in Forensic Science is designed to provide students with a solid foundation within the forensic sciences, while at the same time encouraging growth and leadership in new and emerging applications within the field. The program offers students the opportunity to concentrate within one of three major areas of forensic science: criminalistics; molecular biology; or clinical forensic medicine. In the past few years film and television has introduced our entire society to the once closed world of forensic science. One of the elements that the entertainment industry has correctly identified as shedding light into the field is that a multidisciplinary approach is necessary to allow our criminal justice system to run properly. Other useful information:The program is not limited to only those students with undergraduate degrees in criminal justice and topic related fields. The program is designed to attract students at a multidisciplinary level. Students with coursework in the natural sciences, pre-medicine, engineering, computer science, psychology and the social sciences are only a few of the disciplines which will find this program beneficial. The Master of Science in Forensic Science program is designed to allow students exposure to both the intricacies of problem solving and the real-world application of forensic science. The curriculum provides students with a solid foundation within the forensic sciences while encouraging growth and leadership in new and emerging applications within the field. University Drexel University of Pennsylvania, School of Biomedical Sciences and Professional Studies, Department of Forensic Science, Criminalistic Science, M.S. Other useful information: The School of Biomedical Sciences and Professional Studies offers the Master of Science in Criminalistic Science. The Master of Science in Criminalistic Science is designed to introduce students to the basic principles of Criminalistic Science while also providing opportunities to pursue either more traditional and/or more innovative concentrations of study.